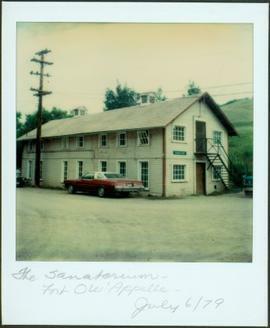 Polaroid photograph depicting large sanatorium building. Vehicles parked on street in foreground. 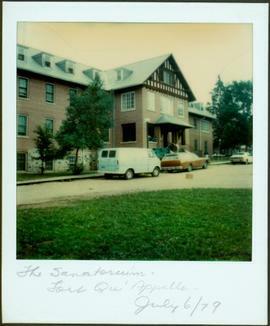 Handwritten annotation on verso of photograph: "The Sanatorium. Fort Qu'Appelle - July 6/79".